For thousands of years, ancient cultures around the world have used fasting as a means of healing the body during times of sickness. To this day, some cultures continue to believe that restricting food intake is a path to obtaining mental clarity and spiritual awakening. In Western society,intermittent fasting, a modern spin on the concept of fasting, has created a buzz among health professionals. You may have heard of the recent increase in popularity of intermittent fasting, which relies on the notion that the timing of food intake is crucial to how your body will use that food. It claims that restricting your eating window to 6-8 hours, thereby extending your fasting window to 16–18 hours, will yield tremendous benefits for fat loss, hormone balance, energy, and insulin stabilization. Why would this be beneficial, you may be asking. From an evolutionary standpoint, researchers say that our ancestors went through periods where food was abundant at certain times and less available at others. This feast and famine pattern conditioned the human body to burn stored fat as its primary source of energy when food was scarce. As well, many ancient religions observed some forms of fasting as a way of cleansing and creating mental alertness. But now I want to add another layer to this trend, and that is block fasting. Block fasting consists of several consecutive days of fasting done periodically instead of fasting intermittently on a daily basis. As block fasts can last from 1 to several days, one would rely solely on water, fat or bone broth while the body completely cleanses and detoxifies itself. Weight Loss: If you struggle to lose weight, a significant part of the problem may be that your body has simply lost the metabolic flexibility to burn fat for fuel—our native fuel source. With our current North American diets, our bodies have become so reliant on glucose that we rely on a continual intake of food to feel at our best, but this isn’t how our bodies should be running. Therefore, block fasting can help people get into ketosis and burn fat as fuel more efficiently. Improves Energy: If you think about it, fat is just stored energy. Fasting helps unlock energy already lodged in your body that you previously had no access to by forcing your body to start accessing those stores. Once that happens, your body suddenly has a near 40,000 calories of stored energy to use! Not only that, but you may notice an improvement in cognitive function as well (sharper memory, less brain fog etc.) as the brain heavily relies on energy from fat to function as well. Stem Cell Production: Recent studies show that declines in age-related stem cell function can be reversed by a mere 24-hour fast! Biologists found fasting dramatically improves stem cells’ ability to regenerate, in both aged and young mice. Autophagy: Fasting also promotes autophagy, which is like a “spring cleaning” for your cells. During autophagy, body is essentially eating getting rid of any junk or waste material that may have built up, and repair the damage of oxidative stress. 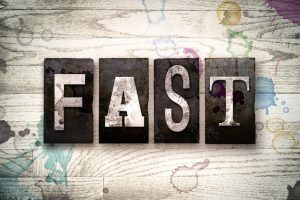 This is one of the biggest benefits of fasting even for people who are already at a healthy weight since it has powerful anti-aging and muscle-building properties. it can be a great way to significantly reduce your risk for cancer. Reduce Inflammation: To better understand how fasting and ketosis may help reduce inflammation in the body, let’s use the analogy of a fireplace. A fireplace that burns wood (i.e. glucose), produces smoke. This smoke goes up the chimney as best as it can, but often leaves behind a dirty residue that is difficult to clean. In this scenario, the wood fuel represents glucose and the smoke represents inflammation in the body. Like wood, glucose is a dirtier fuel source. It produces waste that accumulates at a cellular level and causes unwanted after-effects. In comparison, when a fireplace uses natural gas (i.e. fat, which produce ketones as a byproduct), less smoke is produced and little to no mess is made. This fuel is safe; it warms your house without undesired side-effects. In the same light, using ketones as fuel results in an increase in cellular energy and protection of the mitochondrial membrane. It also contributes to a reduction of inflammation and its markers. Reset Gut Microbiome: Our digestive system works without any rest, day and night. A fast will give the much-needed rest to the entire digestive system to repair and heal itself, and restore the proper balance of the microbiome. Toxins are removed and one feels improved energy and vigor. Fasting can also greatly improve immune system function and aid in longevity. Three-day fast – aids in eliminating toxins and cleanses the blood. Five-day fast – begins healing and rebuilding the immune system. Ten-day fast – heads off problems in the making and helps to prevent illness, including degenerative diseases associated with aging. Water Fasting—Experts say the best way to benefit from autophagy and block fasting is to stick to just water during your fast. If just starting out, a slight variation on the water fast is to include other non-caloric beverages, such as herbal tea and black coffee, or even whey water. Bone Broth Fasting—Another variation is to consume bone broth on your fast. Along with healthy fats, bone broth also contains lots of protein and works wonders to restore gut health. Fat Fasting—Here, you allow healthy fats during the fast in addition to water and/or non-caloric beverages. While you probably would not eat a stick of butter you could have bulletproof coffee (black coffee with butter, coconut oil or MCT oil) for example. Hypoglycemia or irregular sugar levels – If you have hypoglycemia or irregular sugar levels, gradually introduce fasting to your diet, as it can cause drops in blood sugar and induce feelings of lethargy. Monitoring by a knowledgeable healthcare practitioner is recommended while fasting. Kids – Fasting is not recommended for children unless it’s for teenagers with serious weight issues. It’s better to get children in the habit of choosing healthier and non-processed foods, as their growing bodies need more regular fueling. Body image – Intermittent fasting is not recommended for those with a history of, or who are prone to disordered eating. I have personally done several 3-day fasts using fats and bone broth and despite fearing hunger, I learned it’s really mind over matter! I felt alert and energized all throughout. Remember, to perform a block fast safely, you must start gradually. You don’t run a marathon on the day you take up running; you ease into it slowly. The same thing applies to block fasting. Fasting is one of the oldest dietary interventions in the world, and modern science confirms it can have a profoundly beneficial influence on your health. Goodluck!